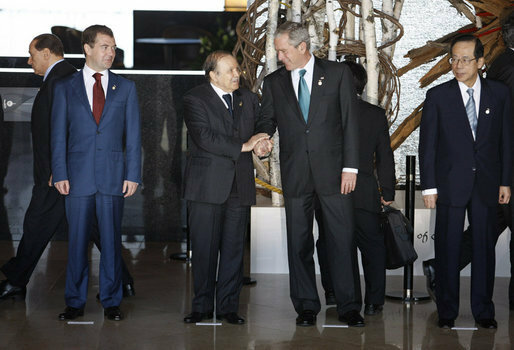 Description: President George W. Bush and President Abdelaziz Bouteflika exchange handshakes at the Windsor Hotel Toya Resort and Spa in Tōyako Town, Abuta District, Hokkaidō on July 7, 2008. With them are President Dmitriy Medvedev, left, and Prime Minister Yasuo Fukuda, right. This page was last modified on 20 April 2017, at 22:07.